Genuine spare part to fit Dyson DC14 and DC33 vacuum cleaners ..
Genuine spare part to fit your Dyson DC24 vacuum cleaner ..
Genuine part for select Dyson vacuum cleaners .. This is a genuine spare part to fit Dyson DC25 vacuum cleaners ..
Genuine spare part to fit Dyson DC25 vacuum cleaners .. 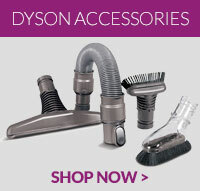 This item is a genuine spare part for select models of Dyson DC24 vacuum cleaners ..